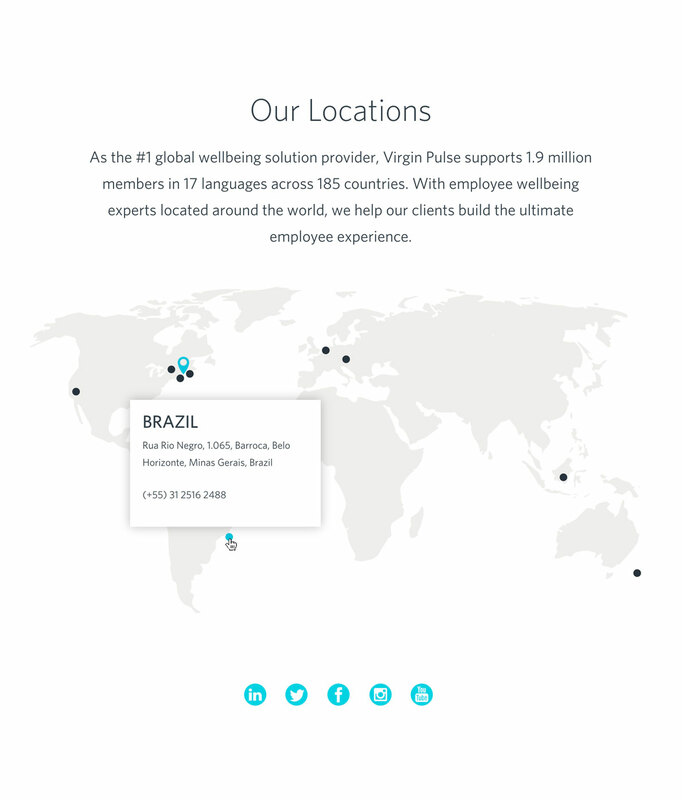 When VirginPulse—part of Richard Branson’s Virgin Group—reached out to us in late 2015, we initially wondered why. They had just launched a gorgeous website with all the bells and whistles. It wasn’t until we got under the hood that we realized that was all they had: an overdesigned website that wasn’t doing much more. That’s because websites are about so much more than pretty pictures—they need to be rooted in real strategy and measurable objectives that come alive through the design. So, over the past two years, that’s just what we did. 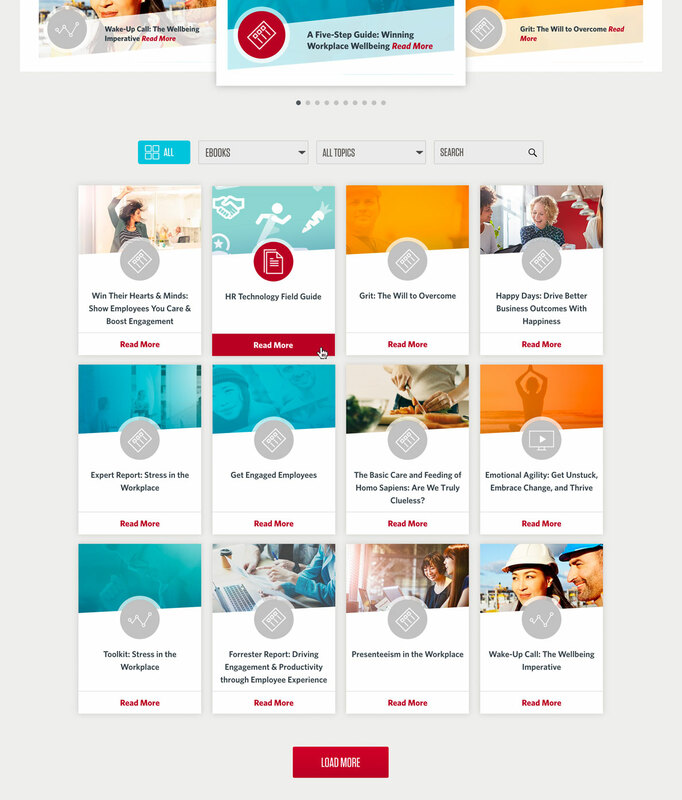 We first drafted a strategy tied to audience, search, and lead generation. Then every page was rebuilt to improve site responsiveness and consistency. 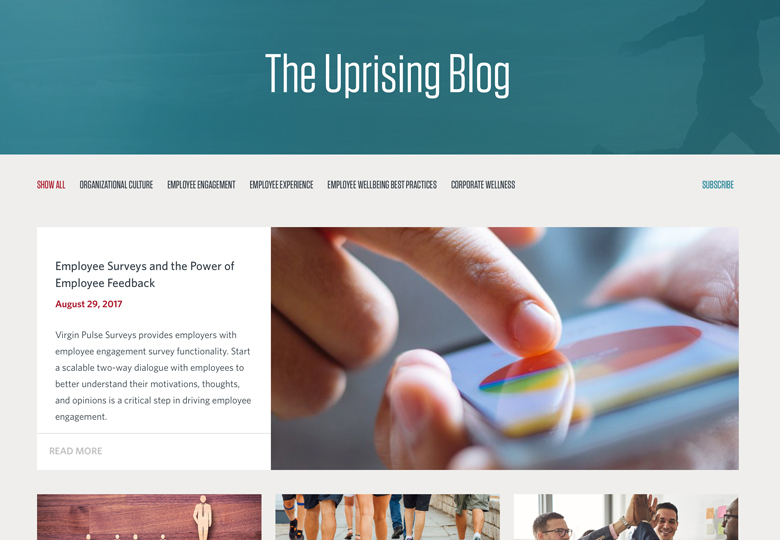 To optimize performance, we designed and added over a dozen new pages and numerous site functionality measures, creating new user paths and better visitor engagement. 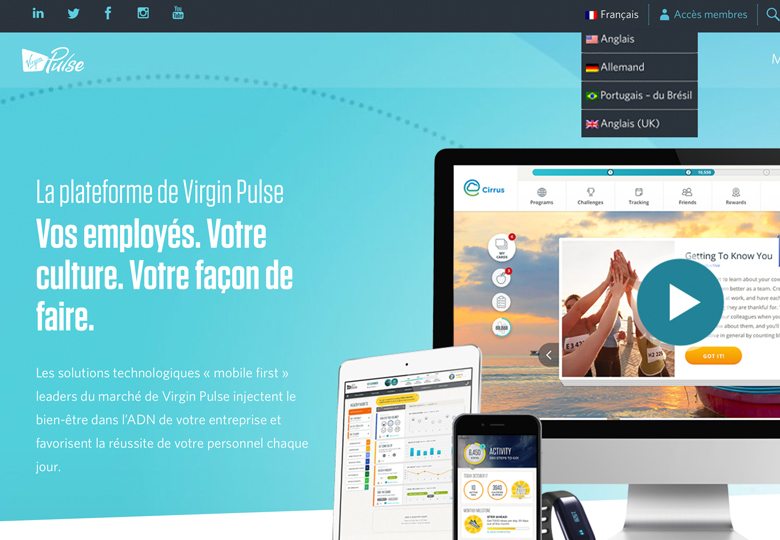 To meet the global needs of VirginPulse’s diverse customers, we integrated multi-lingual capabilities in four languages. 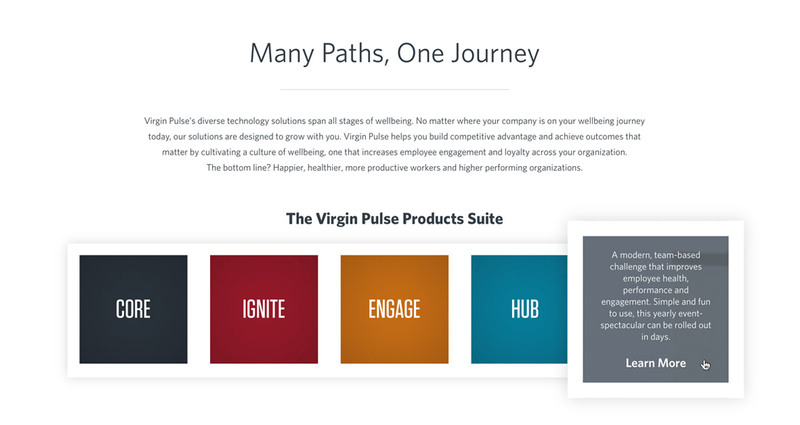 Sprinkle in some killer SEO strategies and custom analytics, and the VirginPulse site is now the engine it was envisioned to be.